As one of the top mobile operating systems (OS) in the world, Android is a useful platform for a variety of purposes. Due to the open-source nature of the operating system, Android is becoming increasingly popular among app developers and end-users. As most apps are developed on Windows, Android emulators are a platform to test the app on the PC itself without having to transfer and install the software package to an Android tablet or smartphone. Android emulators are basically software that simulate the environment of an Android system. This is why Android emulators are useful. Moreover, our Android phones begin to run slowly after tons of apps are installed, so we can make use of emulators for Android to run Android apps on Windows computer in order to save space on Android. There are already a lot of Android emulators that can be downloaded on the Internet, with differing levels of effectiveness. 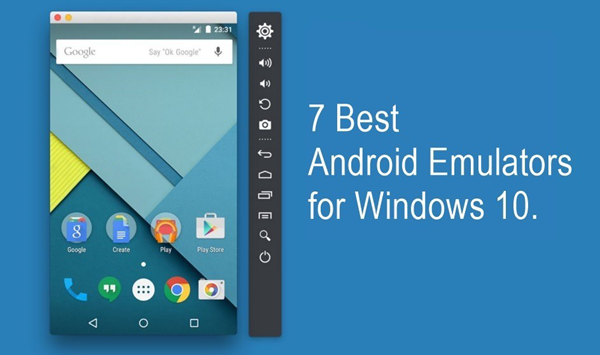 In this article, we will be sharing 7 of the most incredible online Android emulators that can be used for your Windows PC. 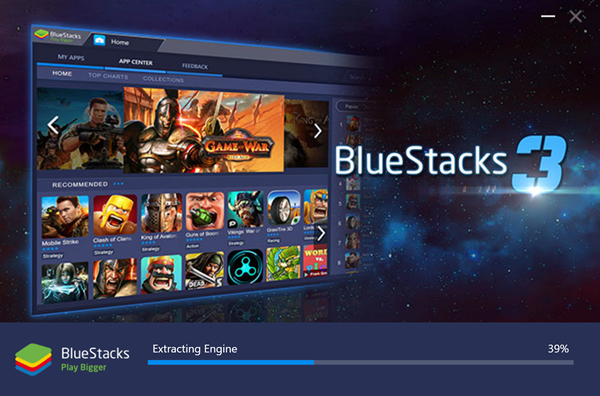 If you have already used an Android emulator in the past, there is a big chance that you utilized BlueStacks. This popular emulator package is a free software that is stacked with multiple features and tools for users. 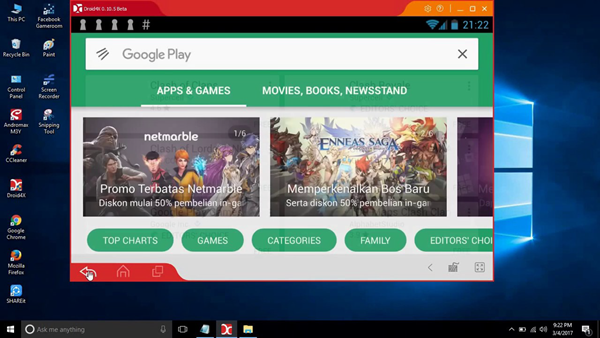 One of the advantages of BlueStacks Android Emulator is that it automatically searches for possible apps that you will use. These options will then be shown on the user interface. It also has a modest support for Android app developers. Additionally, it has OpenGL Hardware support. Among the few downsides are the lack of push notifications and limited ARM support. The ads on the platform can also be a nuisance. Furthermore, it can also be demanding on the CPU and GPU of the computer. To use BlueStacks effectively, you will need to use your Google account to initialize it. Just download the software package from the official BlueStacks website. 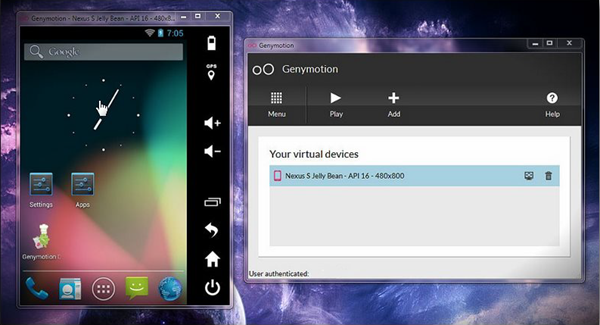 Geny Motion allows for enough space for the users to customize and be flexible about the Android experience. It provides an option for users to utilize a different Android version, for example. It is also among the easiest to use. You do not have to worry about compatibility issues for once. Not only does it have a drag-and-drop feature, it can also be used with Ethernet or Wi-Fi. There is also no push notifications. There are a few downsides, of course. You cannot do Internet browsing on it. The emulator is only allowed for personal use. If you are looking for an emulator with a stunning graphics capability, the Droid4X would be good for you. It has impressive compatibility and supports multi-touch access. Oh, and did we mention that Droid4X is a free emulator for Android? Perhaps the two worst downsides are its lack of camera integration and push notifications. The fact that it does not have support for developers can also irk people. It is also not available for Mac users. 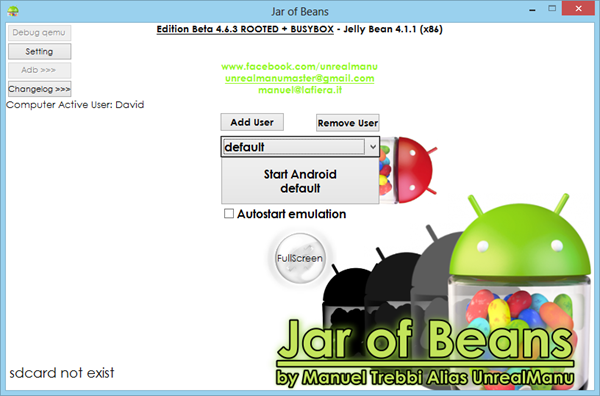 Jar of Beans is largely inspired by the Android Jelly Bean. It has a simple but functional user interface. While it has a few compatibility issues with other Android versions, it does offer impressive visuals. It is also incredibly easy to download and install. But, do not expect any developer support and camera integration. You may not realize this but Android actually releases their own official emulator. It is a good option for you because it is developed mainly by Android creators themselves. This means most apps are compatible with the emulator. Since it is marketed mainly to developers, installation can be quite complicated. It also does not have multi-touch support and push notifications. Andy Android Emulator is a favorite of Android app developers. 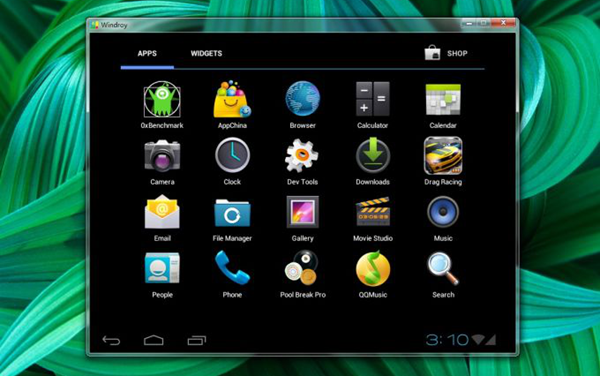 Available for both Windows and Mac computers, the Andy Android Emulator has only been in release since 2014. As far as Android emulators go, Andy provides seamless sync between devices that you would almost think that you are already using an Android smartphone. 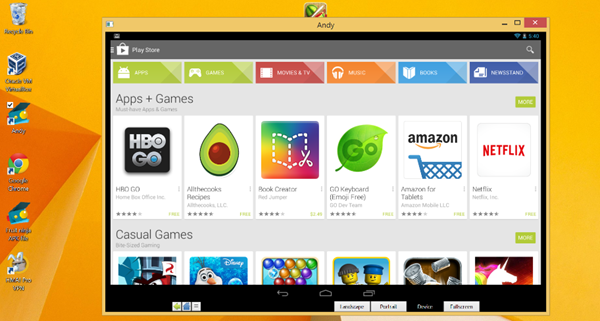 The Andy Android Emulator provides a user-friendly and fast platform for users. You can use your own phone as a remote as well. There will also be unlimited storage in the emulator. Moreover, the platform has push notifications for communication applications. While it is among the best options, Andy also has a few disadvantages. Chief among them is the fact that it runs Android 4.2 only. To use the Andy Android Emulator, you will also need to install the VirtualBox beforehand. Lastly, you cannot make screenshots and send text messages on the package. You will be able to send schedule SMS messages with this method. Windroy has been described as a combination of BlueStacks and the less popular YouWave. It is one of the more decent options right now due to the fact that you can search and subscribe to WeChat public numbers and a large screen resolution. You can also send pictures in batches. A disadvantage is its unavailability to Mac OS users. It also does not have app sync. Its Android experience is also rather basic. 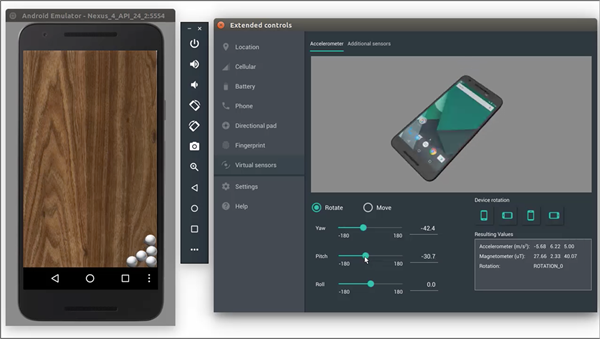 While there are a lot of Android emulator options that Android app developers can utilize, the 7 ones listed above are among the best. Whether you will use it as a temporary substitute for a lost Android device or as a testing platform for your app, one of these apps will be useful to you. Instagram Unfollow Apps for Android: Who Unfollowed Me on Instagram? How to Make Free Calls with the Best Calling Apps for Android?